Author: Tulpule, S.G., Feldhaus, A., Peṭhe, M.P. Marathi is the official language of Maharashtra state in India. Old Marathi is the "classical" written form of the language as it appears in the abundant literature and inscriptions dating from around 1000 to 1350 B.C.E. This dictionary, the only one of its kind, is based on all known inscriptions and literary sources from the Old Marathi period. 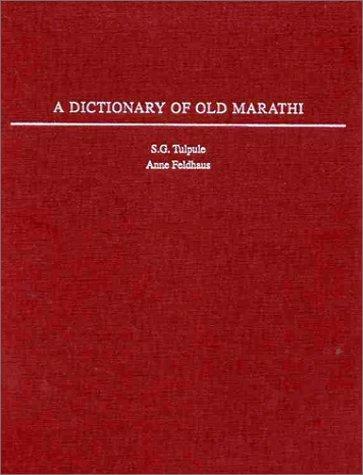 For each word, it offers a transliteration, an abbreviation indicating the grammatical category, an indication of etymology (where known), the attested meaning (with variants), and a citation or citations illustrating the use of the word in Old Marathi sources.